Breakfast: the most important meal of the day, they say. Always the first one up in the mornings, Mother made sure we had a good breakfast to start our school days off right. In those days before frozen waffles, toaster pop-ups, or smoothies, breakfast was a pretty big deal. And we never rushed out of the house without it. Our breakfasts were varied. There was that old standard: bacon, eggs, and toast or similar combinations of protein and carbohydrates. Sometimes we had oatmeal and cinnamon toast; other mornings it might be Cream of Wheat; occasionally pancakes or waffles were on the menu, though most likely on the weekends. And sometimes we went into the kitchen to nothing more than dry cereal and milk. I was never much fond of cereal days—those were the days when my stomach started growling by mid-morning. By my calculation, while we children were living at home, Mother prepared nothing short of 10,000 breakfasts. When my youngest brother left the nest for good, Mother made an announcement to our father: she was retiring from breakfast duty. From that day forward, before he left for work, Daddy made his own breakfasts (willingly, I might add) before Mother gave a thought to getting out of bed. If not for the cat pawing at her face on the pillow every morning, Mother might have remained in bed for a sinfully, but well-deserved, long time. But back to breakfast. In addition to all that typical morning fare, there were two dishes in our breakfast repertoire that were, I believe, unique. One was reserved for one day and one day only each year—Christmas. No one was allowed in the living room where the tree and presents were until we’d all eaten breakfast, and that breakfast was always the same: strawberry shortcake. I loved strawberry shortcake as a dessert and thought it was even more special as Christmas breakfast. As I look back on it, I think there were two reasons we were served this delicacy on Christmas morning. The first, and maybe most important, was that it was quick and easy. For one day a year, Mother didn’t have to get up extra early to have breakfast on the table. The second reason was perhaps a little more wily. What kid wouldn’t be thrilled to have dessert for breakfast? If we were just as eager (or almost) for breakfast as for presents, and if breakfast was just as much a part of our holiday tradition as the rest of that big day, then there wouldn’t be any peeking under the tree before the parents were ready. There wouldn’t be any whining (well, not much, anyway) for everyone to hurry up so we could finally open the door to the living room. Whatever the reason, that strawberry shortcake breakfast was always a success. The other unusual breakfast we had on occasion had a regional basis. Mother grew up in the Great Smoky Mountains of southwestern North Carolina, a place where blackberries grow profusely on the mountainsides. Along with her mother and three sisters, she spent many afternoons picking blackberries, so many that they were able to can plenty of jars for use in the winter. And one of the ways blackberries were served in her home was stewed with a little sugar and poured over homemade buttered biscuits. It was a breakfast treat summer or winter. Mother kept this breakfast tradition alive in our South Carolina home. We didn’t have access to fresh blackberries and frozen blackberries weren’t to be found in the freezer aisles in grocery stores, but stores did carry canned blackberries. Not the blackberries in gooey thick syrup for pies, but just plain old blackberries packed in water. All Mother had to do was put them in a pot on the stove, add a bit of sugar and a little more water, and heat them until the berries were warm and the sugar dissolved. In my opinion, there’s just nothing better than a plateful of biscuits, halved and buttered, smothered in blackberries, and swimming in that purple liquid. Mm-mmm good! 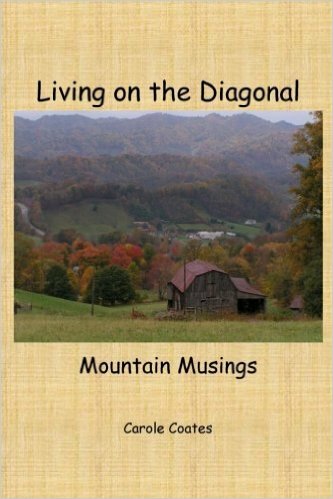 If you’re a dedicated reader of Living on the Diagonal, you know I also began blogging for Mother Earth News a few months ago. Just thought I’d take today to remind you I have a site over there if you’d like to check it out. In fact, Mother Earth News is running a contest for its bloggers right now—to see how much traffic we’re getting for articles posted between December 1 and January 31. If you’d like to help me make a better showing, all you need to do is pop over there and click on each of the articles written since December 1st. (Even if it’s not your thing. Do it as a favor.) Simple as that. Thanks in advance. My most recent article tells about our early experiences gathering sap to make our own maple syrup. I’ll share more maple sugaring details next week. The week after, you can find my favorite chili recipe. It features sweet potatoes (or winter squash), and it’s delish! Mother Earth News is where you’ll find other recipes, including my popular vegetarian quiche, my award-winning cornbread, my mom’s delicious pineapple-zucchini bread, and the world’s best kale salad (in my opinion, anyway). I’ve written about how to make gardening easier with posts on making and using bean arches, growing in raised beds, and letting perennials and volunteers do your gardening work for you. I’ve also posted a couple of articles telling about the Mother Earth News Fair, a unique sustainable living event that takes place in multiple venues across the country every year. All that and more to come. 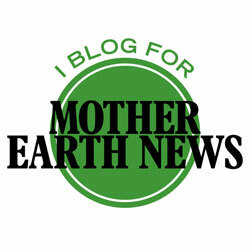 You can find all my Mother Earth News blog posts here. Hope you’ll stop by for a visit. Have I ever got a treat for you! The Gnome now has a blog of his own. 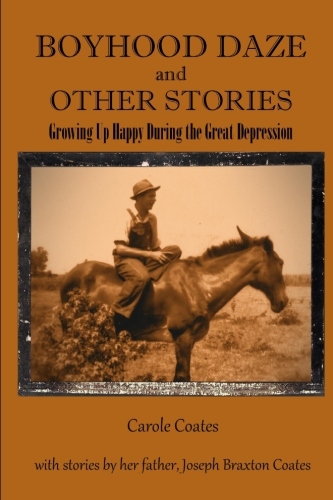 If you like to read things that are calming, centering, and inspirational, I think you’ll like it. You can check it out here or by typing myquietmountainhome.com into the address bar of your browser. Enjoy!